Since the beginning of September 2012 RSM CZ TAX (Department of Tax Consultancy) has been led by Kateřina Provodová. Kateřina Provodová has worked in RSM CZ since 2006. Before joining us she worked in the Tax Department at Ernst & Young. Kateřina specialises mainly in consultancy services provided to international as well as local companies dealing for example with real estate, financial consultancy or retail trade. Besides standard tax consultancy, Kateřina has wide experience in due diligence and mergers & acquisitions. 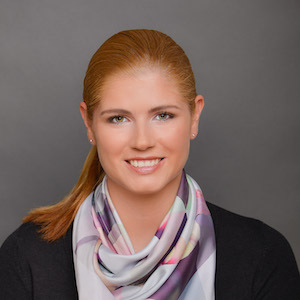 Kateřina Provodová graduated from the University of Economics in Prague, with a major specialization in international trade and a minor specialization in business and law, and from the Law School of Charles University in Prague. She also completed semester studies at the University of Economics in Vienna followed by successfully completing a postgraduate program in International Tax Law at the Vienna University of Economics and Business Administration where she earned the LL.M. title. Kateřina has been a member of the Chamber of Tax Advisors of the Czech Republic since 2001.